“I used to be a terrible student”, said Lim Jack Kin, in his valedictory speech at the Canadian International Matriculation Programme (CIMP) graduation ceremony. “In secondary school, I had failed my exams for multiple subjects. My desk and my bed were used for the same thing (and it wasn’t studying). My idea of doing homework was to stare regretfully at my textbooks while I played video games. While my friends were stressing out over getting 80s instead of 90s, I didn’t care if I got a 30 or a 40. I had no one to blame but myself. The reason I’m telling you all of this is to highlight the kind of opportunities for growth that CIMP gave me. From day one, my energy was engaged wholeheartedly in the subject matter by teachers who loved their job about as much as they loved their students. Along with active class discussion and group projects, I managed to do pretty well for myself. If, two years ago, you told me that I’d be standing here, being rewarded for academic excellence, I’d probably have laughed. The most valuable thing I learned at CIMP wasn’t geography or history or Shakespeare. It wasn’t just remembering information and knowing what to think, but rather, knowing how to think about the things we learned”, explained nineteen year old Lim. 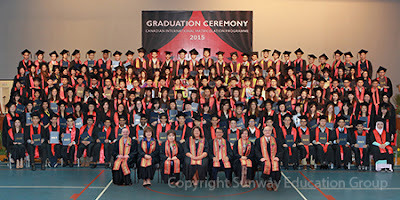 Lim together with 226 other CIMP graduates from Sunway College recently celebrated their pre-university study accomplishments where 24 graduated with an overall average result of 90 percent and above. Eighteen year old Nichole Gan Min Huey was presented with the Tan Sri Dato’ Seri Dr Jeffrey Cheah Scholastic Award. She said her time in the programme has definitely helped her grow as a person. “The CIMP taught me that there’s more to the world than what we usually see or hear – whether it be from through the media or word of mouth. The programme also taught me to not only listen but to understand and analyse things; to look into topics and expand my knowledge base. I have no regrets in joining CIMP and am so grateful for the time I’ve had in the programme,” she explained. Asides from academic achievements, the graduates were also acknowledged for their contribution in community service where overall the CIMP students this time around went the extra mile in contributing an average of 27 hours per student, more than the required 10 hours each. The students’ efforts include handing out food to the homeless through the Kechara Soup Kitchen, visiting patients at Hospis Malaysia and caring for animals at the SPCA. In lieu of the devastating earthquake in Nepal, CIMP students together with Sunway International School (SIS) students managed to raise a total of RM23,740 for the Nepal Relief Fund. The monies; RM9,036 was channeled to the International Federation of Red Cross and Red Crescent Societies while RM14,704 was channeled to the 7th Fort Sea Scouts of Malacca, where the funds were used to purchase and distribute portable nano filters to purify water into safe drinking water. Receiving the “Outstanding Community Service” Award this year was Joel Haansal Thomas who made a considerable contribution. 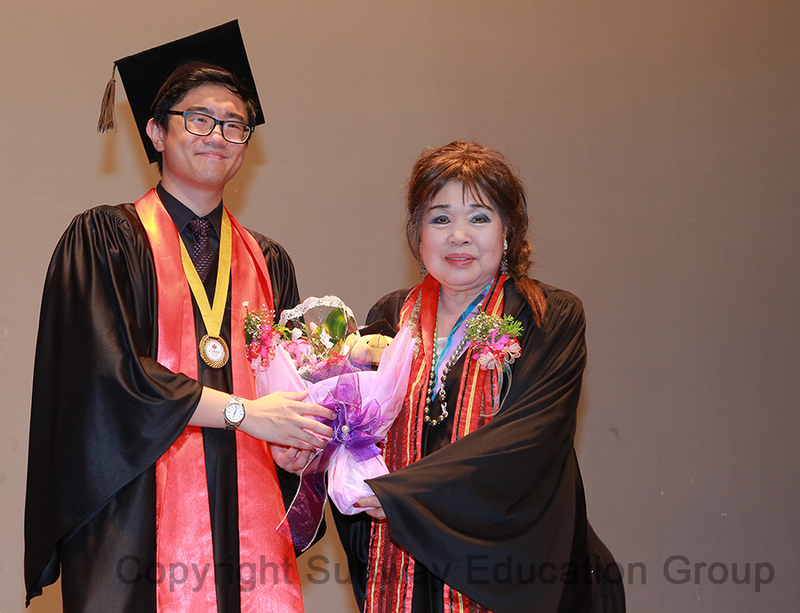 “I hope that through the time you have given, you enjoy a sense of personal satisfaction, knowing that you’ve made a difference in other peoples’ lives”, said Dr Elizabeth Lee, Senior Executive Director of the Sunway Education Group and Sunway University. The CIMP at Sunway College encourages student engagement in community service believing that it helps them develop their academic, interpersonal skills and strength. Participation outside textbook and classroom settings are solid platforms for students to explore their potentials and capabilities, and apply academic learning to real life situations. With theoretical knowledge and practical exposure, CIMP graduates are bestowed with expectations to create positive social impacts.